The cities of tomorrow will look very different than they do today. They’ll have to. What these urban transformations will look like was the big topic of discussion at the 2019 Courage to Lead dinner, WRI’s biggest fundraising event. 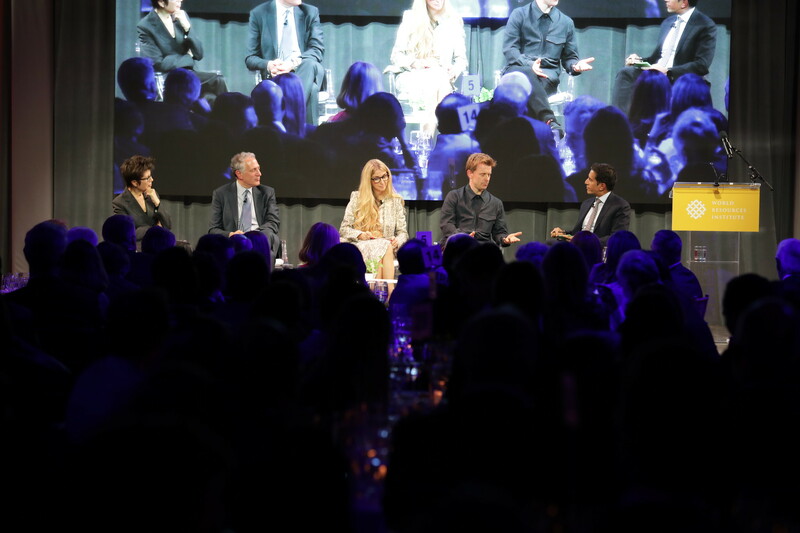 Held at The Shed in NYC’s new Hudson Yards development, the event brought together leading architects, real estate developers, urban planners and other innovators to envision sustainable cities of the future. While urban transformation is necessary virtually everywhere, it looks very different from one city to the next. 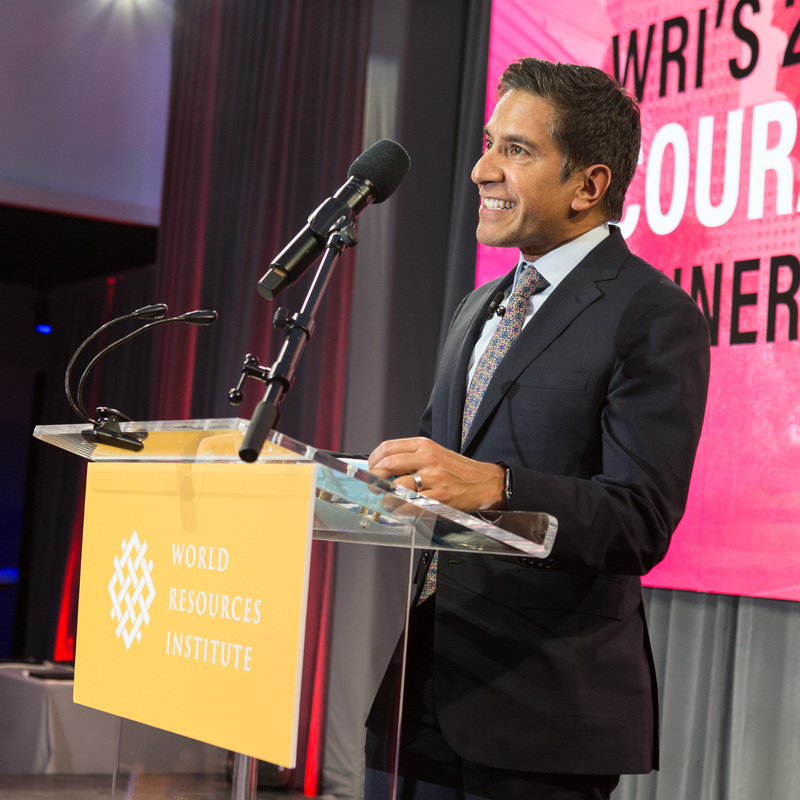 This year’s Courage to Lead dinner saw the inaugural WRI Ross Prize for Cities, honoring impactful projects in cities around the world. With support from WRI Board member Stephen M. Ross, WRI awarded the $250,000 prize to a project that redesigns city streets to save children’s lives in Dar es Salaam, Tanzania. Some schools in Dar es Salaam see more than a dozen students killed or injured in road accidents every year. Rapid urbanization, rising vehicle traffic and haphazard development have created perilous conditions for pedestrians, especially young children walking miles to and from school every day. Non-profit Amend’s School Area Road Safety and Improvement (SARSAI)program identifies schools with the highest rates of student injury and installs pedestrian crossings, speed humps and other measures to help children get to school safely. So far, SARSAI has helped more than 38,000 students in Dar es Salaam. The project is now working in nine cities across sub-Saharan Africa. SARSAI won the 2019 WRI Ross Prize for Cities. Learn more here. “This is an opportunity for us to spotlight the often-neglected issue of safe journeys for children and the requirements for us to design our cities with the needs of the most vulnerable at the core,” said Ayikai Poswayo, SARSAI’s program director. Nearly 200 projects applied for the WRI Ross Prize for Cities, with five finalists selected. Other finalists included a waste-pickers’ cooperative in Pune, India; a revitalized marketplace for informal traders in Durban, South Africa; an aerial tram system in Medellín, Colombia; and an urban redesign project in Eskişehir, Turkey. “They’re showing us how a single project, if done right, can help start transforming cities,” Dasgupta said. Another example of this kind of urban transformation was visible right at the event venue. 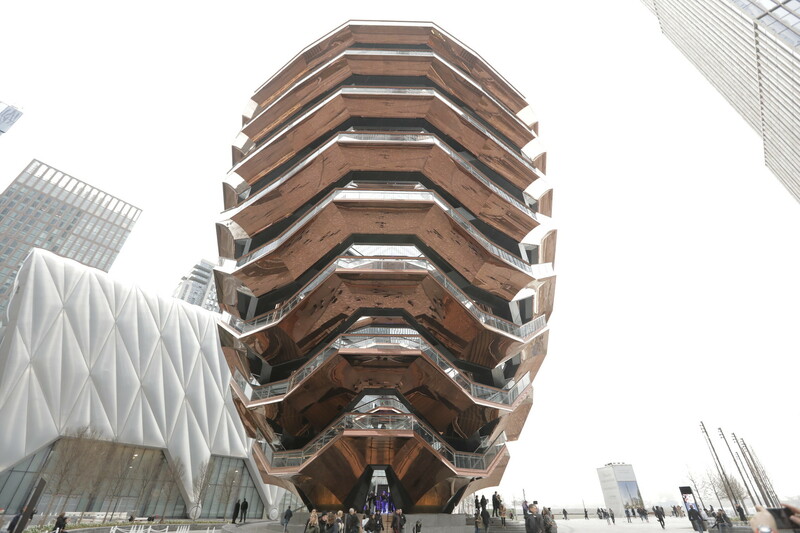 Hudson Yards, developed by Ross and his firm, Related Companies, is a massive 28-acre development project. What was once railway tracks and abandoned buildings in a neglected section of Manhattan’s west side is now a mixed-used community of retail stores, condos, corporate offices and art installations. Learn more about the WRI Ross Prize for Cities and the Courage to Lead dinner.